He had prepared us knowing that we would have hardly taken him seriously. 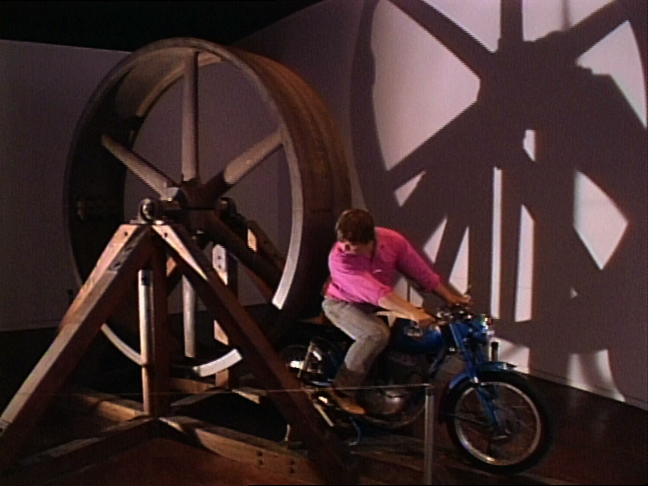 People rushing toward everything that looks new, like the rats following the magic flute, aren’t likely to easily accept Chris Burden and his art. At the opening of Metropolis II, at LACMA, was a Chris lingering about the entrance seriously tempted to disappear: “Maybe I shouldn’t be here,” he mumbled. He had never given the public permission to devour his image. Art for him is not about the artist, not a matter of science or opinion, it is a gesture, an act that liberates from exterior superfluous things. And of course it’s human making, playing and replaying everything that has already been done, including death. TEXT by CHRIS BURDEN Alberto Santos-Dumont is considered the father of aviation in France. He flew am airship held aloft with a hydrogen-filled balloon to cruise the boulevards of Paris at the turn of the century. In 1901 he won the coveted Deutsch de la Meurthe Prize when he flew his airship around the Eiffel Tower. I have been inspired by the imagination and experimentation of Santos-Dumont. Through the inspiration os santos-Dumont airship, I enlisted master machinist John Biggs to handcraft a quarter-scale replica of a 1903 De Dion gasoline motor. After working on and testing the motor for seven years, the motor was completed and functional in 2010. In 2014, after much experimentation with propellers, building the gondola out of aluminum Erector parts, installing the engine and mounting mechanisms, and after working with a balloon manufacturer to produce the cigar-shaped balloon, we employed our knowledge of engineering and physics to realize the sculpture Ode to Santos Dumont. The airship sculpture, Ode to Santos-Dumont, is a highly balanced and refined mechanism. 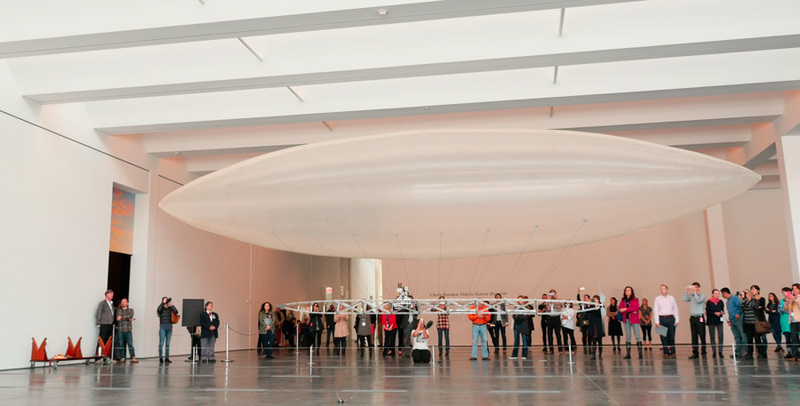 The airship travels indoors in a sixty-foot circle. It is tethered from the inboard side with very thin, almost invisible threads to central hard points in the ceiling and the ground. The balloon is filled with helium to neutral buoyancy and the motor is just powerful enough to push the balloon in a sixty-foot circle. If the airship were to deviate from its sixty-foot circle, the geometry of the tethers would force the balloon to turn in a smaller, tighter circle, which would cause the motor to work harder. As a result, the airship and its motor always seek the sixty-foot circle, which is the path of least resistance, or the sweet spot. The sculpture Ode to Santos-Dumont was made possible through the ability, incisiveness and good nature, determination, and patience of master craftsman and inventor John Biggs. He has rebuilt the physical model of the wheel, recreated the original television, and in the B-car the essential automobile; a flying kayak preceded this fluttering airship; broken glasses became huge ships hung from the ceiling, maybe the waves’ memory congealed and preserved. All the submarines of the United States of America pretending to be a flock of birds in flight. Not objects, ideas one by one, at slow pace, took shape in one man’s mind, in a body anxious to know more than the mind, to physically think and touch realities we normally avoid: pain, fear and their sources. 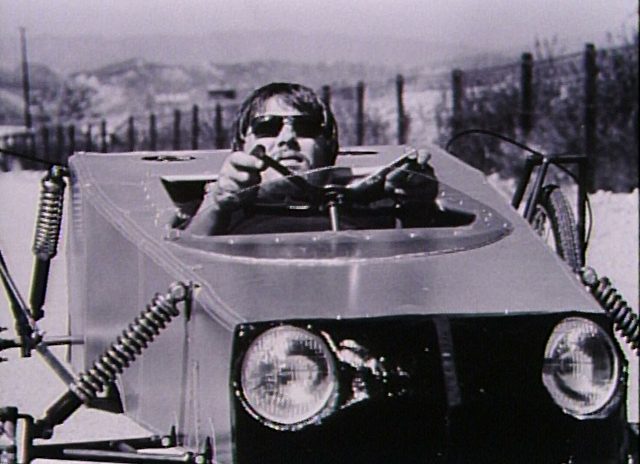 Question and answer, all from Chris Burden’s mouth. Hung from his voice, I wrote them down while preparing the longest lecture I ever gave, — two days long — for The Museum of Modern Art in Bolzano, in Italy. Bill Viola was the artist representing the U.S. at the Venice Biennale in 1995. “Who lost?” Pierluigi Siena asked me, the museum’s director. 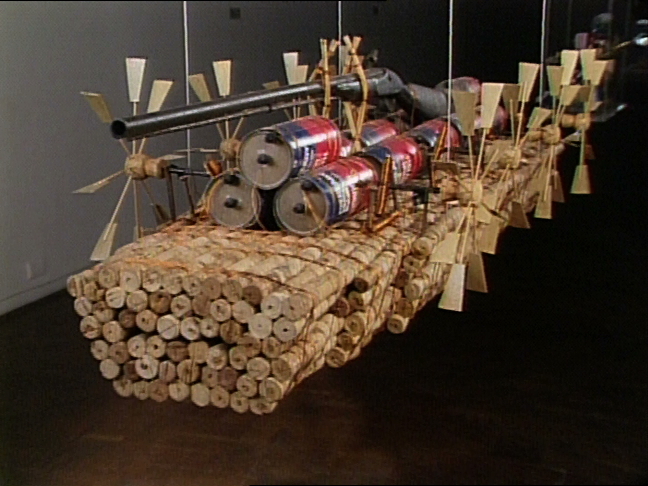 “Chris Burden,” I replied. Both artists being mostly unknown in Italy, Siena asked me to present everything I could about their art and show all the images (slides at the time and videos) in two uninterrupted days. Siena immediately printed the lectures in a small book and personally brought a pile of books to the American Pavilion in Venice. Friendly meetings followed, with Peter and Nancy Rubins, Chris’ wife. And a lot of work, to prepare the Bolzano marathon. Chris offered to go through all his work with me, at my house. Beyond expectations! I accepted. The first day we were supposed to meet and work, I was very nervous. Instead of waiting at my desk, I started gardening. 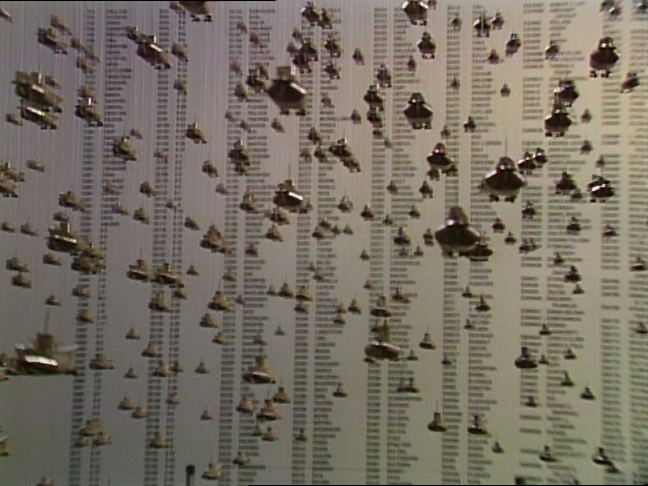 An odd feeling took me at a certain moment, but the bell hadn’t rung. I rushed to the door, Chris was mysteriously walking away. “Chris,” I called, quite upset. He turned back and walked to the door with no words, the work started. I always thought it was magic magnetism … do you know what I mean? Surprise like a lamp in his eyes, kindness, feline freedom, clear honesty. That’s why his art is hung on infinity, I can’t feel him dead.